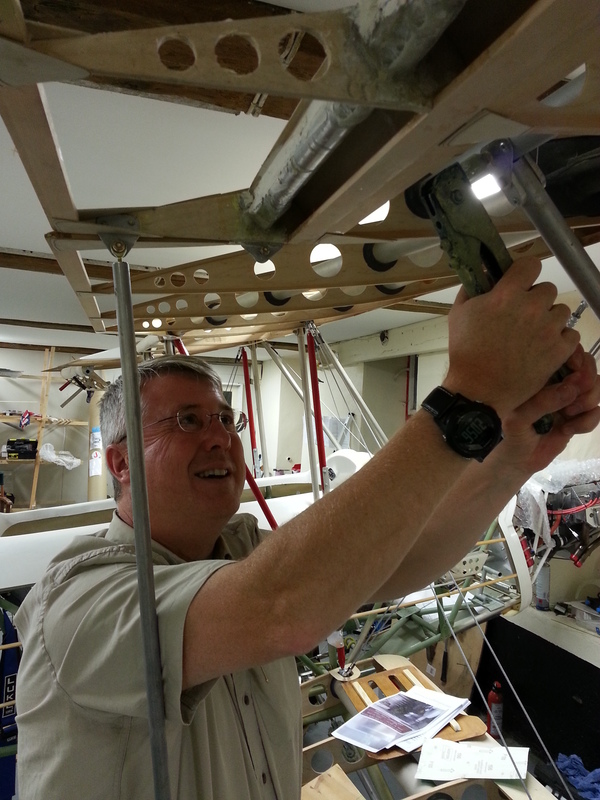 disassemble the wings from the body – Sam helped me de-rig – all that lovely careful work !! FIRST test load onto the trailer. James suggested running the trailer tyres slightly lower to give more protection to jarring whilst towing. Good idea on our roads out here ! 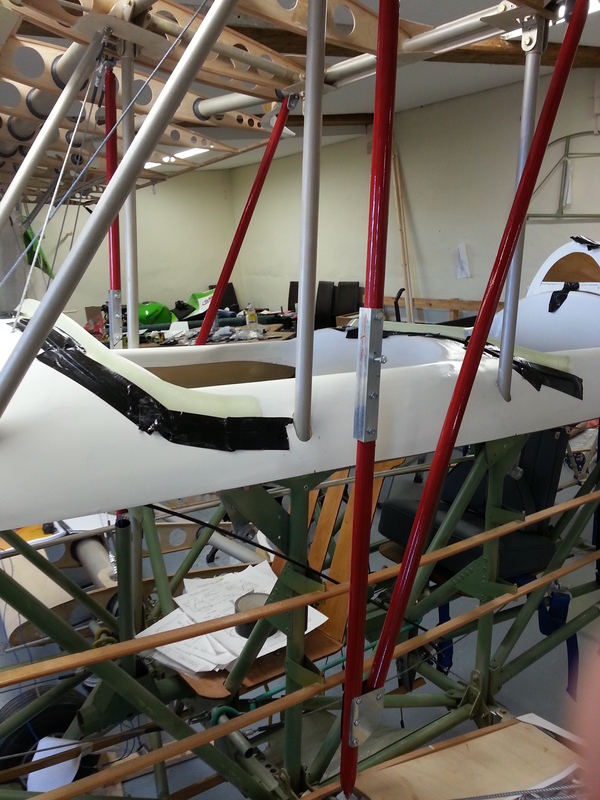 One of the many little tasks that needs completing is the blocking off of the gap between body framework and the top decking around the nose area. 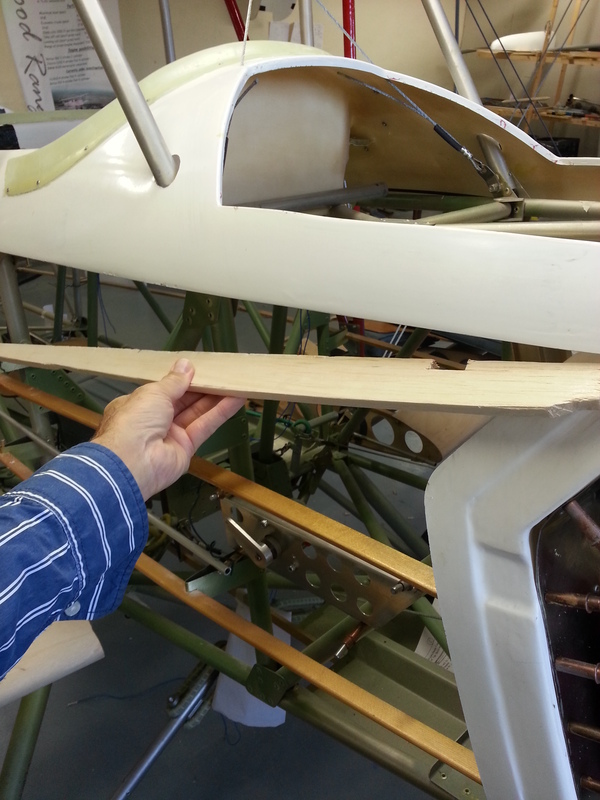 The plans advise on using 1/2″ balsa which is easy to shape to fit snugly into the gap. Once trimmed it is epoxied into position. It can be left to harden here before I give all the woodwork (including this) a coat of 10% thinned polyurethane. 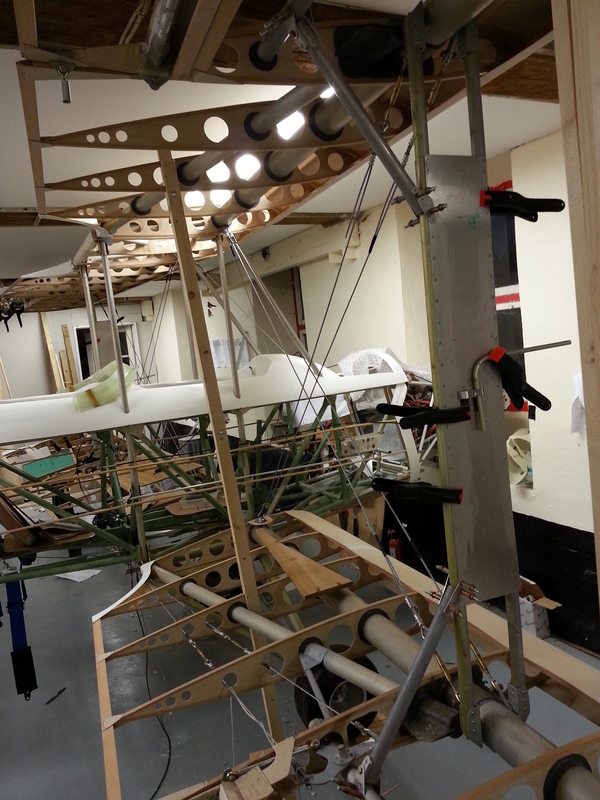 Tim was very keen to visit the build so came along last night just in time for my latest package in the post from TLAC – more M62 rivets .. for the aileron rods and wing strut bracing rods. Having shown Tim how great Celco’s are for holding things in place whilst you set everything up I offered Tim my very old (but very reliable and very very well used rivet gun). 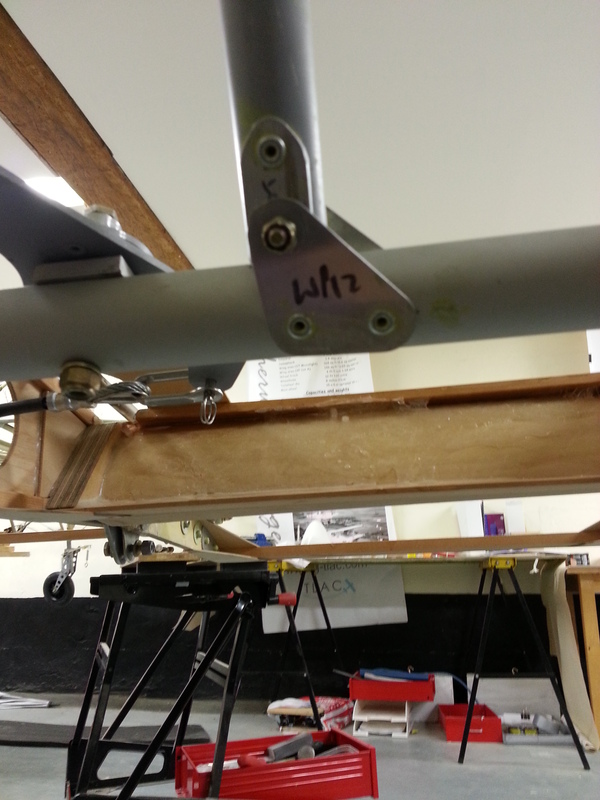 Tim popped the first rivet in then flipped it upside down and ejected the rivet shaft ….. ADMISSION TIME …. I never knew that was how you ejected the old stem ! 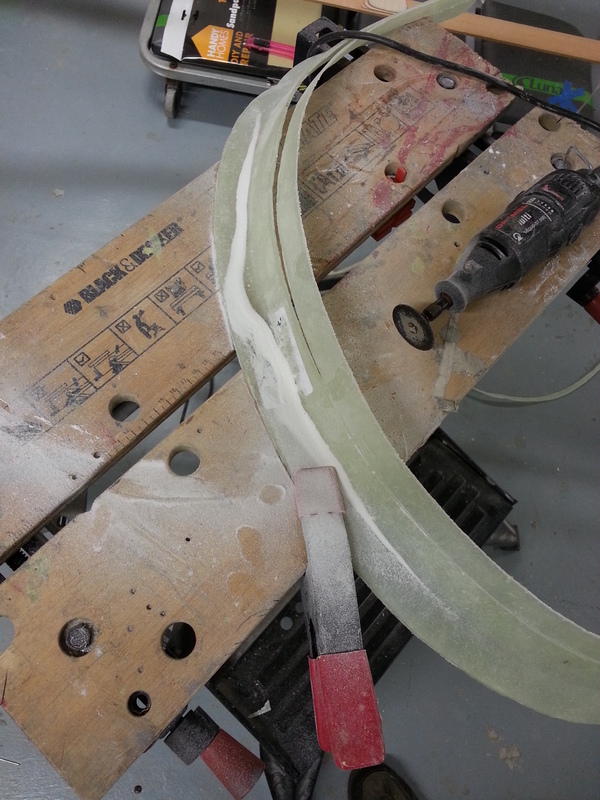 I have always tapped the side to get the stem to come through the face edge of the tool – not always with success. Just goes to show you can use a tool (incorrectly for 18 months !) and then working with someone else and a lightbulb moment ! Tim has offered his skills for future help which I am sure will help move things along when extra hands are required – like dismantling in the next week or so to move barns ! 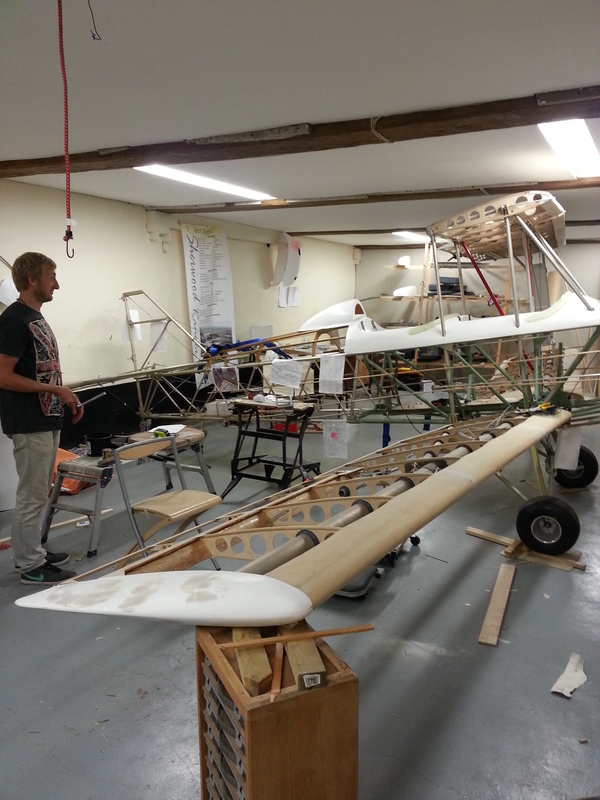 I need to get the top decking completed so we can start to get other pieces in place for the planned static display at this years Jersey Air Display. Did the dust filled job of trimming the fibreglass screen surrounds last night, then rubbed down with wet and dry to get smooth edges. 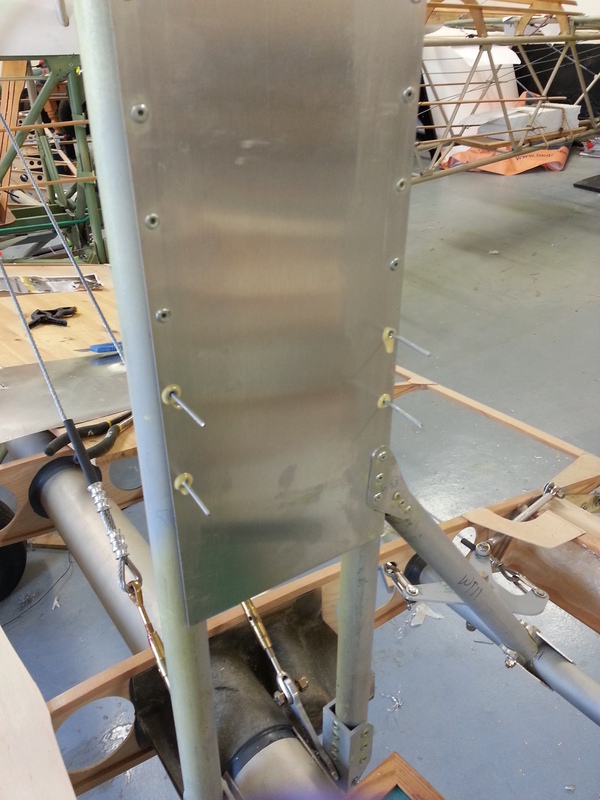 Then epoxied them in place and will leave to set before putting the 12 or so rivets in place. Then I can neaten the edges ahead of painting or wrapping …. the painter suggested wrapping with the stick on heat gun based covering that means I can colour match to the Oratex Olive green and get a good finish in the process. Also, if in 4 years time I want to change it, that should be easier. Making up the small alloy brackets for this ahead of riveting them in place and then drilling and riveting in to support in place. The TLAC supplied leather headrest will be fitted to a small wooden panel that will be hinged (If I can locate a small gauge piano hinge). This will give access to the headrest storage area (has a bottom ply base). Having created a draft P1 panel for the rear out of hardboard I got Ray and Russell from our locale Marin Fabrication company to cut the template out of thin metal. I have designed a rectangle hole in the centre of this so that we can have an easy to access rear panel for the main gauges. The initial depth of the panel is deliberately oversized so that we can cut back based on how it sits in the turtle deck. It currently sits exactly level with the top of the stick so this will be cut back to ensure good movement and still be able to get my knees in ! The aim is to have it deep enough to allow up to two rows of the smaller Winter dials and still have room for a row of switches / fuses in the bottom. 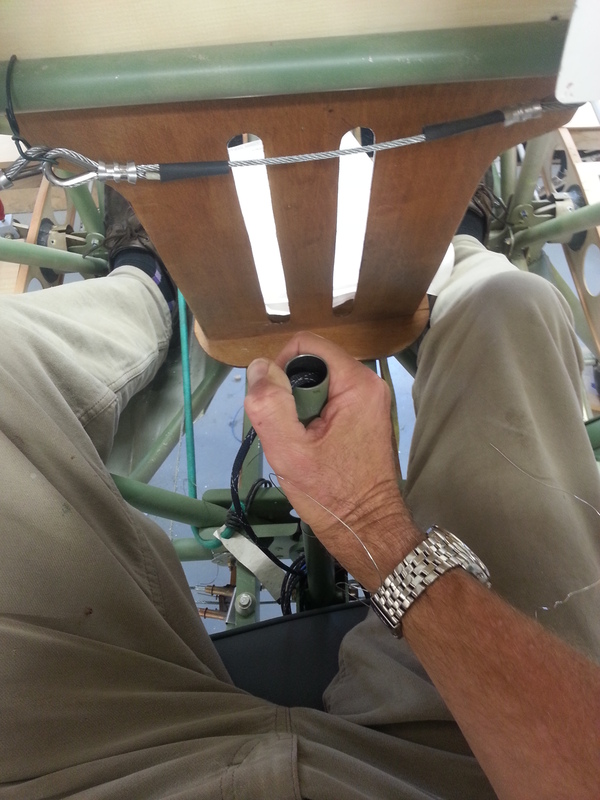 I have already fitted the two stage carb heat unit which will results in two switches and two lights and I aim to have the switches on the lower panel and warning/advisory lights above the panel – so they stay more in eye line. The right of the panel will hold the slightly larger diameter multi unit gauge – again – this has a warning LED so shouldn’t be mounted too low. Didn’t realise just how many rivets go into these things …. 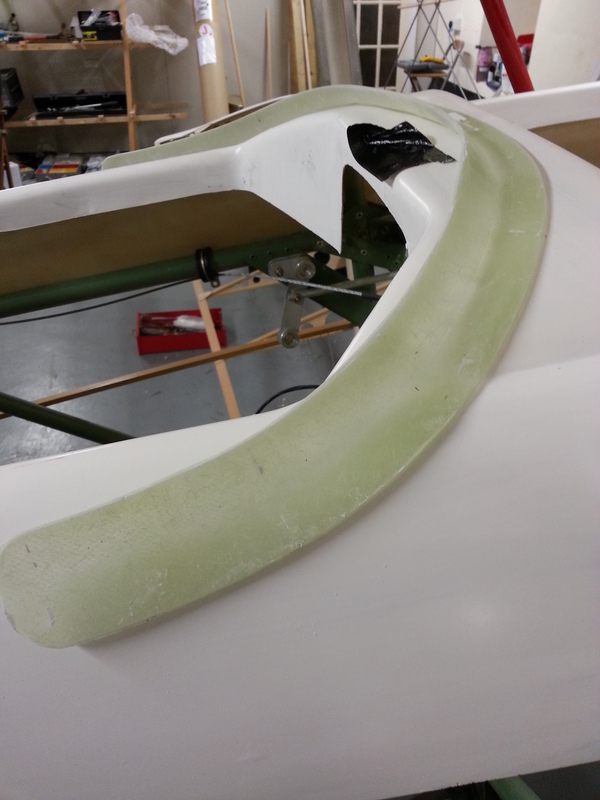 I am really not happy with the slots I have cut for the pitot tubes so will re-do these before covering. Many happy returns Capn …. Reluctant as I am to embrace all the new technology (I have been an IT specialist and programmer/change manager my entire career) but refuse to be dragged (kicking and screaming into the unstructured Facebook world ! I have, nevertheless resorted to a birthday ‘selfie’ .. my first and possibly my last ….. I have had the Sherwood two years in October and have refused to sit in her until the moment was right ! Last night was that moment…. Off the trestles that have had her in flying pose whilst all the setup is completed, she was sitting on her tail and I just had to finally sit in …. OK – Its not the normal selfie you might expect … but hey …. what has been built isn’t run of the mill ! The picture tells me other things of course .. got to put stiffeners on the rear of the front seat back panel and also must get the PTT switch bevel in position ! Thanks to a sterling job by Ivor turning around my request for replacement strut bracing tubes, they arrived in Jersey on Friday evening. 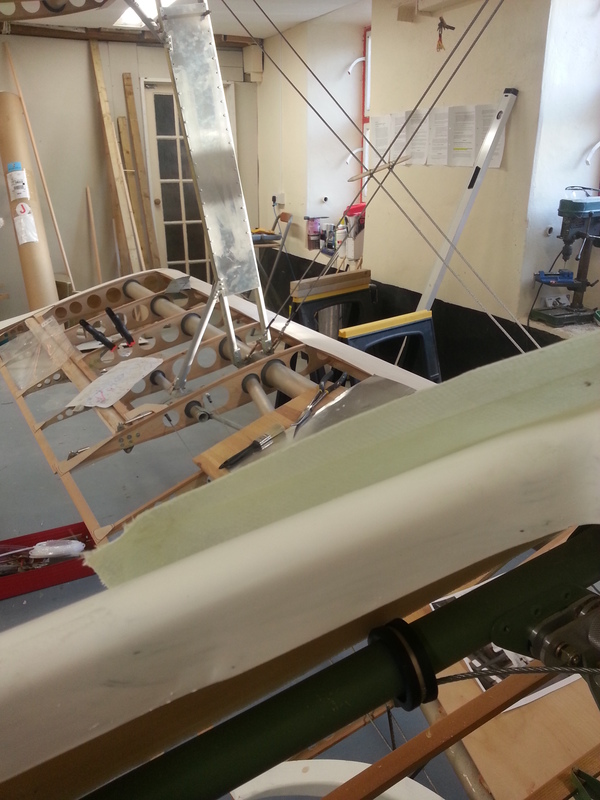 Re shaped these to fit the top supports on Saturday and then waxoyled the tubes (and the aileron pushrod connection tubes at the same time). 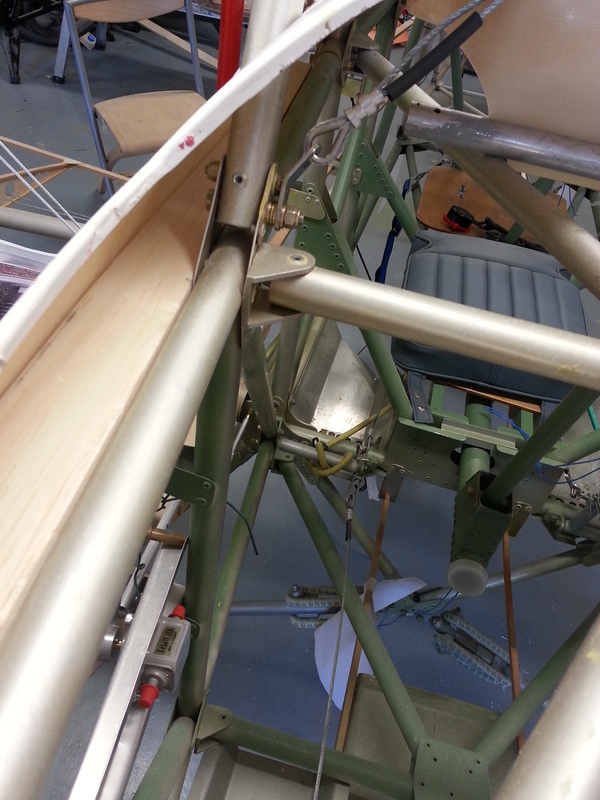 Sunday evening, post charged drill, saw the top strut brace supports in position and looking good. Very strong with the rivets in place and bolted up.